Wisconsin's former long-time status and reputation as a national beacon of honest, clean, and transparent state government has taken a horrific beating lately. Particularly in 2011. Governor Scott Walker and his like-minded legislative allies wiped out the nation's most far-reaching public financing system -- the less than two-year-old Impartial Justice Law -- which had provided qualified candidates for the Wisconsin Supreme Court with full, 100 percent public financing if they agreed to limit their spending to a total of $400,000. They also obliterated Wisconsin's partial public financing system for other statewide and legislative candidates which was established in 1977 and was at one time a model system for the rest of the nation. In recent years, public financing was on life support and not very effective due to years of neglect and abuse -- but Walker, Joint Finance Committee Co-Chair Robin Vos (R-Rochester) and the Fitzgerald Brothers simply applied the coup d'grace and eliminated spending limits and public financing altogether last summer rather than try to revive and improve it. Then, to add insult to injury they swiped the more than $1 million designated by taxpayers to be used for public financing of elections to implement the most restrictive and extreme voter ID system in the nation. In 2012, it will be more difficult to vote in Wisconsin than in any other state including Mississippi, Alabama, Georgia and South Carolina -- states with a history of denying many of their most vulnerable citizens their constitutional right to cast a ballot. In addition, Walker and his allies have attacked Wisconsin's Open Meetings Laws, undermined the ability of the state's Government Accountability Board (GAB) to implement and enforce campaign finance and election laws, and eviscerated the balance of power between Wisconsin's three branches of government -- giving Walker and the executive branch sweeping powers to make or block state government agency rules and regulations at whim and at will. In less than a year, Wisconsin has been transformed into a backwater of American democracy. A century ago, Wisconsin was known as the nation’s foremost "laboratory of democracy." How far we have fallen. And never faster or further than in 2011. So what, if anything can be done in 2012 -- an election year that is further polarized and divided with the impending recall elections of Governor Walker and at least three and maybe four Republican State Senators? The answer is that there is plenty that can be done. And both Republicans and Democrats ought to come together and pass several reforms early in the session before they adjourn for the year to engage in further bloody political warfare and destruction. CC/Wisconsin was the first state organization to propose legislation to require donor disclosure and regulation of funding for campaign communications masquerading as issue advocacy way back in 1997. We made considerable progress in advancing the measure over the years, culminating in the Government Accountability Board’s adoption, in November 2008, of an administrative rule requiring disclosure and regulation. Similarly, CC/WI helped to write and led the statewide effort to pass legislation to accomplish the same purpose. Senate Bill 43 passed with overwhelming bipartisan support (26 to 7) in the Wisconsin State Senate on January 19, 2010. There were sufficient votes to pass the legislation in the State Assembly and Governor Jim Doyle said he would sign the measure into law when it reached him. But a vote in the Assembly had to be put on hold because two days after that vote in the State Senate to regulate and require disclosure of campaign communications masquerading as issue advocacy, the United States Supreme Court issued its controversial decision in the Citizens United vs F.E.C. case. The legislation passed in the Wisconsin State Senate was immediately rendered unconstitutional because it regulated the source of funding that outside special interest groups could utilize as well as required disclosure. Citizens United ended the ability of Congress or the states to regulate the source of funding of outside communications even as it upheld the ability of Congress and the states to require disclosure of the donors who fund them. The State Senate and the Assembly, to their everlasting shame, failed to agree on new language to require disclosure as the legislative session ended in 2010. Further, in August of 2010, the Wisconsin Supreme Court (on a 4 to 3 vote) blocked implementation of the disclosure rule promulgated by the Wisconsin Government Accountability Board. The GAB's disclosure rule was essentially eliminated altogether this year through actions advanced by Governor Walker and ratified by the Legislature that gave the Governor the ability to veto pending administrative rules. The need for disclosure of outside spending remains a central priority for reform in Wisconsin and CC/WI has worked with State Senator Jon Erpenbach (D-Waunakee) and others, with legal assistance from the Brennan Center for Justice in crafting a new, post Citizens United measure that will be introduced soon with what we hope will be bipartisan support. This disclosure measure also contains a requirement that outside spending for political purposes must be approved by the board of directors of corporations and unions and that such a vote be disclosed. The goal is to attain as much transparency as is legally possible of the source of corporate and union outside political spending as well as transparency about the board of directors approval (or disapproval) of such spending, acting – presumably – at the direction of the majority of that entity’s shareholders or membership. When this legislation is introduced, it ought to be embraced by legislators of both major political parties and by Governor Walker. The citizens of Wisconsin deserve and have the right to know who is trying to influence their vote in our state elections. The redistricting process in Wisconsin, which began shortly after the November, 2010 elections, is in dire need of change and reform. Currently, the process is cloaked in secrecy and is almost completely controlled by congressional and legislative leaders who spent hundreds of thousands of dollars of taxpayer funds to construct less competitive state legislative and congressional districts in 2011. The number of truly competitive State Senate, Assembly and U.S. House of Representatives seats in Wisconsin has decreased alarmingly over the past several decades to just a handful. As recently as 1998 there were four competitive U.S. House seats in Wisconsin; today there are really none. Changing the way districts are drawn after the population changes reflected in the census are known is a high reform priority. Adoption of a new redistricting process, similar to Iowa’s system, is needed to stem and reverse the current, increasingly less competitive system. A new process needs to be enacted into law now to be in place for 2021. CC/WI has worked with legislators of both of the major political parties in crafting a measure, Assembly Bill 198, that would take away from the Legislature direct power to redraw new congressional and legislative district boundaries and direct the Wisconsin Legislative Reference Bureau or/and the Wisconsin Government Accountability Board to take charge of the redistricting process with the goal of creating more competition and in keeping communities of interest together as much as possible. In June of 2011, when Governor Walker and the legislative leadership repealed the Impartial Justice Act, they simultaneously repealed the partial public financing system for all statewide and legislative elections that had been in place since 1977. The system was in dire need of revision and updating and was not functioning in the way that was intended 34 years ago: to set sensible spending limits, combined with public financing to diminish the influence of special interest groups in the campaign financing of candidates. But rather than try to revise and improve the system, the Governor and the legislative leadership totally eliminated public financing – giving Wisconsin the dubious distinction of being the first and thus far, the only state in the nation to do so. CC/Wisconsin has worked for many years to advance reform that would establish updated, sensible spending limits as well as revise the source of funding for candidates that agreed to abide by those spending limits. In the past, we have explored the possibility of modeling Wisconsin’s public financing system after Minnesota’s very successful partial public financing system which was, ironically, originally modeled after Wisconsin’s system in the early 1980’s but which has been continually improved, enhanced and updated over the years. CC/WI is in the process of drafting a plan for campaign finance reform for Wisconsin based on the Minnesota system that has generated interest on the part of a number of legislators of both political parties. The citizens of Wisconsin need to be re-educated about the need for comprehensive state spending limits and public financing, including why it is better for the state than the current system of unregulated spending and funding. We need to “begin at the beginning” to inform citizens and legislators how public financing works, how it has been successful in Minnesota, and how we can make it work for Wisconsin. And we need to begin the legislative process for introducing a new public financing system in Wisconsin in 2012. CC/Wisconsin has been pushing to prohibit the solicitation and acceptance of campaign contributions during consideration of the biennial state budget process since we first proposed this reform in 1996. We saw results for our efforts in January, 2009 when the Speaker of the Assembly, the Assembly Majority Leader and Assembly Chair of the Finance Committee agreed to prohibit the solicitation and acceptance of all campaign contributions to any member of the Assembly while the Legislature considered the Governor’s budget. 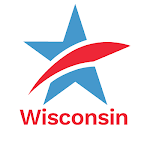 While the ban was not statutory and did not apply to the Assembly leadership campaign committees and it did not extend beyond Assembly consideration of the budget, it was a positive beginning and an acknowledgement of the pressure CC/Wisconsin has been applying for years with regard to this matter. However, a more extensive and statutory remedy is necessary in order to make the fund raising prohibition truly effective and lasting. In 2011, there was no similar ban or restriction on campaign fund raising during the budget process and record amounts of money were raised from special interest groups which compromised the integrity of the state budget process. A significant number of other states, including Minnesota, have enacted into law this common sense reform. Republicans and Democrats should join together and pass it in Wisconsin before the Spring. In 2009, CC/Wisconsin singlehandedly discovered and reversed a secret budget proposal made by the Senate Majority Leader that would have required the Government Accountability Board to obtain legislative approval for funds to investigate possible corruption or other wrongdoing in state government and in the Legislature. If passed, it would have destroyed the independence of the GAB to be able to conduct investigations. The secrecy of state budget deliberations (behind closed doors in partisan caucuses) has become an even bigger problem in recent years and CC/Wisconsin’s discovery of the secret GAB budget amendment highlights the need for more transparency and adherence to the state’s Open Meetings Law, which the Legislature passed in 1976 but in doing so, exempted itself from its requirements. CC/Wisconsin has made ending this exemption a legislative priority. And we are supportive of a constitutional amendment to accomplish that. So there is our ambitious -- but sensible -- political reform agenda that the Wisconsin Legislature and Governor Walker ought to embrace and move forward on now. Whether they will or not depends largely on how strongly and stridently the citizens of Wisconsin push their elected state office holders and legislators to act. But one thing is clear. This state will not function effectively nor will its government have the confidence and support of its citizens if the political process continues to deteriorate and make a mockery of democracy and representative government. The process of reform and cleaning up state government must begin now. A Political Reform Agenda for Wisconsin in 2012Tweet this!